Economical studio boom is especially suited for small studio/broadcast applications and for stage miking of drums and percussion instruments. Unit features a 60" long, two-piece horizontal boom assembly constructed of steel tubing. 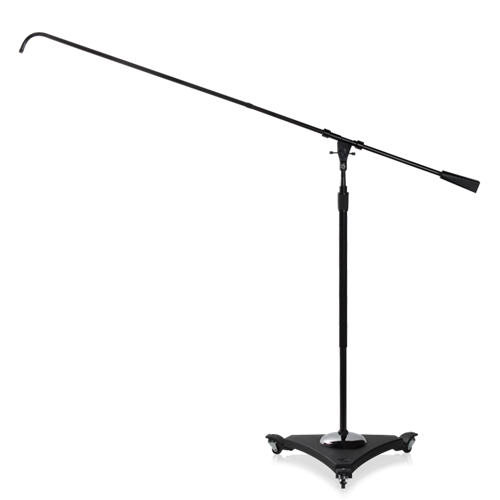 Boom includes a Performer Series swivel clamp and an adjustable 2-lb. counterweight for effortless boom arm orientation. 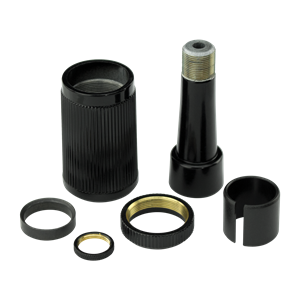 Tubing also incorporates a 90° angled end for optimum microphone positioning and terminates in the standard 5/8" - 27 thread to accept all microphones, holders, and adapters. 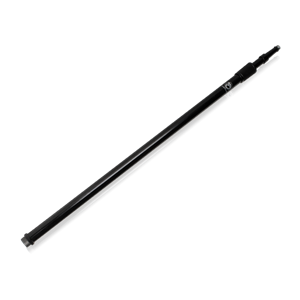 Vertical tube assembly is 1 1/8" and 7/8" dia. cold rolled steel with an adjustable height span of 43" to 68". 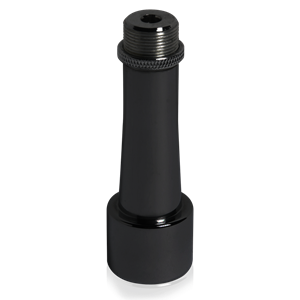 Tubing features the wearproof AtlasIED® grip-action clutch for positive locking control. 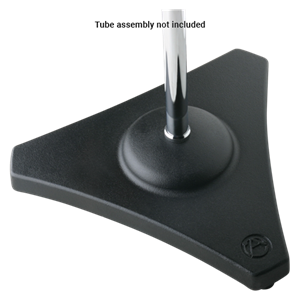 Triangular die-cast base with edge-concentrated weight distribution offers extra stability and is equipped with three, hard rubber swivel casters for effortless and silent mobility. Entire assembly is finished in non-reflective ebony epoxy.